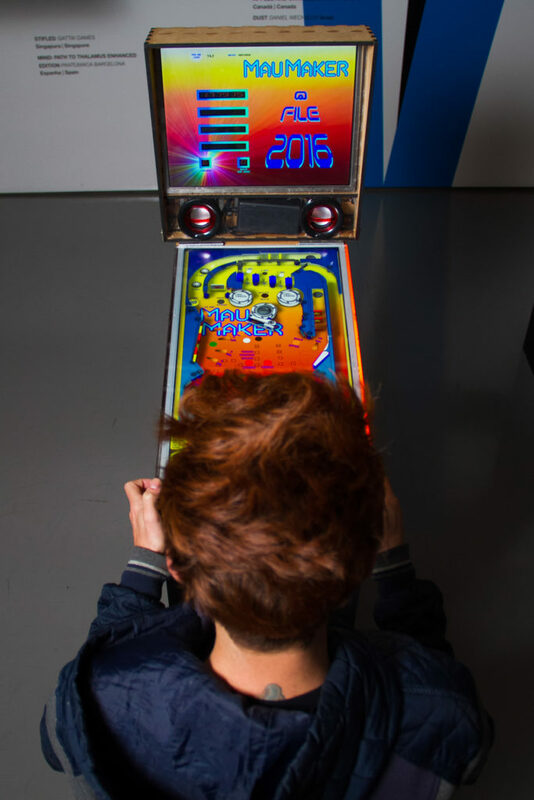 The Pinball simulator was made by reclaiming used materials such as an old TV screen, an old computer display and a computer, and combining them with modern manufacturing technologies such as laser cutting. It is about rescuing the author’s adolescence and childhood memories, as well as those of many who lived in the 70s and the 80s. One of its sides is made of transparent acrylic to show its interior. Other parts are made out of MDF for a pleasant and natural touch. Mau Maker (Mauricio Jabur) is a maker by hobby and by trade. An expert in physical computing, a discipline that allows the interaction between the physical world and computers by using sensors and actuators such as motors, lights and electro-mechanical equipment.